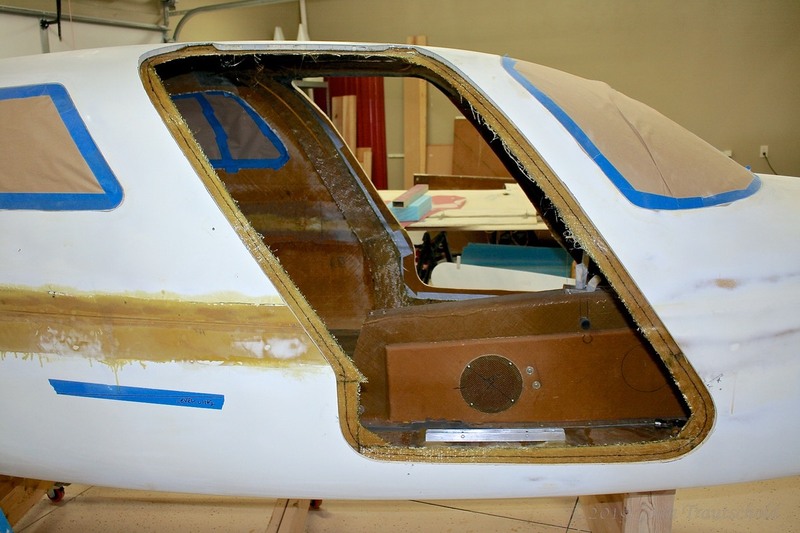 Once the holes are cut into the fuselage it’s time to make a frame for the door to fit into. That involves a bunch of internal lay-ups as well as some trim work along the edge of the door frame. To make the door frame the door cutouts are put back into place using some hot glue and tongue depressors. 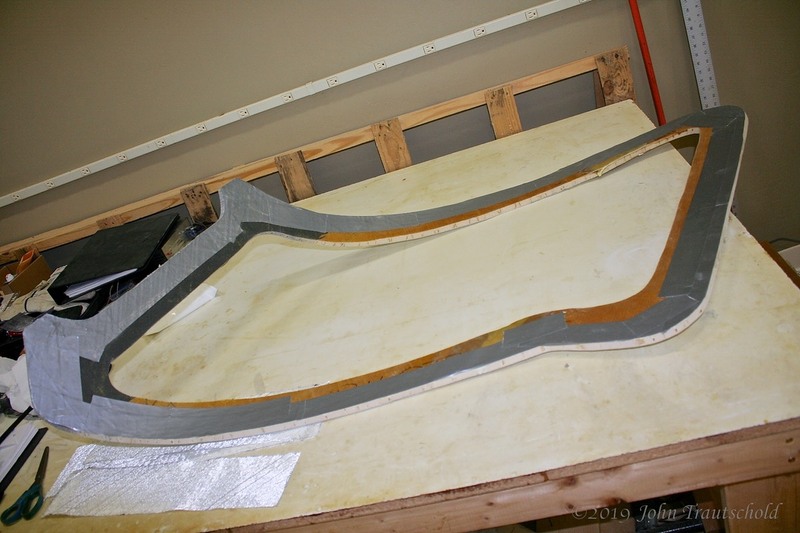 Before putting this back into place, the inside of the cutout needs to be covered in duct tape so that the epoxy and fiberglass won’t stick to it. Once this is done on both sides it’s time to start installing the hinges. The cutout for the door is reused here to help create a flange for the actual door. 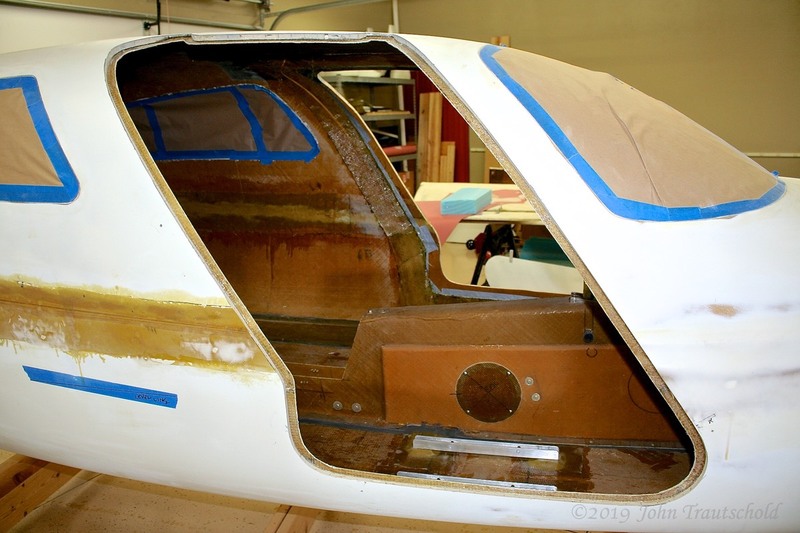 Before putting the door template into position I need to duct tape the rear side so that the internal lay ups used to create the flange will release from the template. I'm using duct tape as a release agent on the template for the door flange. The lay ups are finished! Here’s what the flange looks like before trimming. 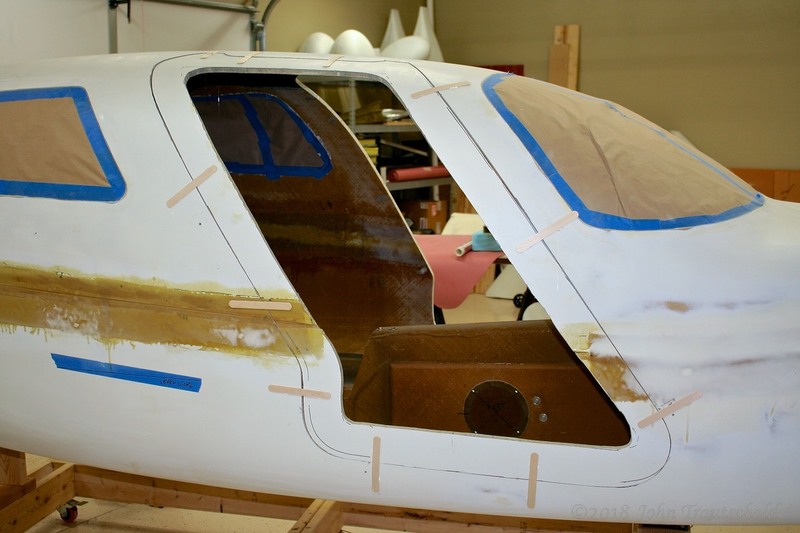 If you look through the fuselage to the other side you can see the left side template in position with the duct tape showing through while the flange creating layups cure. Here's the preliminary door flange before trimming. I’m titling the photo above as “preliminary” because I found that I’m needing to make a lot of adjustments to this flange in order to get a nice, tight fit for the door. 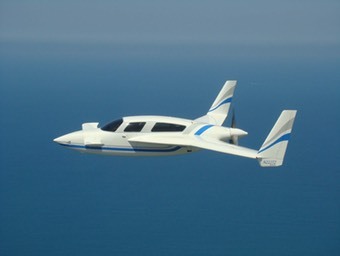 More on that later! The black Sharpie marks are my trim lines. And here's the door flange after being trimmed. Next step is to install the hinges on the doors. See Section 5.2.4 for that process!